Voice.Global > Blogs > This is Our Legacy! 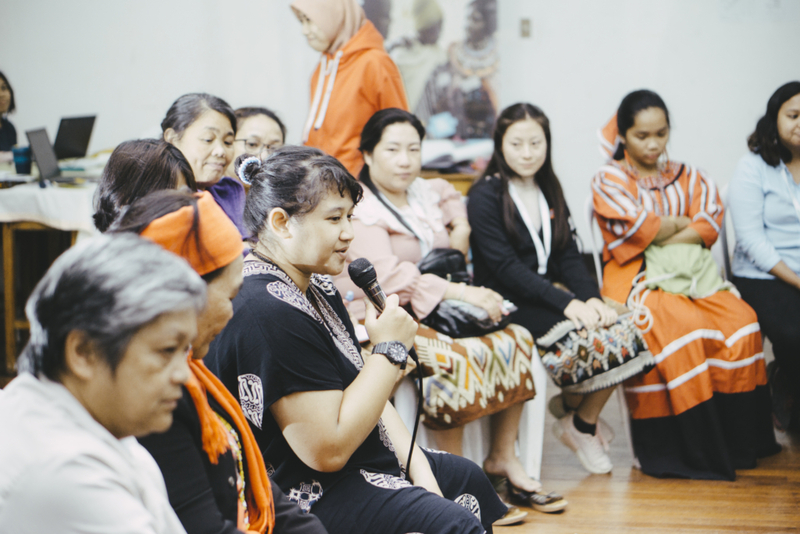 I am grateful to have spent the three days in the Philippines with strong characters from across the globe, predominantly women who have embraced the community’s struggles as their own. The event’s structure and methodology are gradually revealed and periodically reviewed with participants. 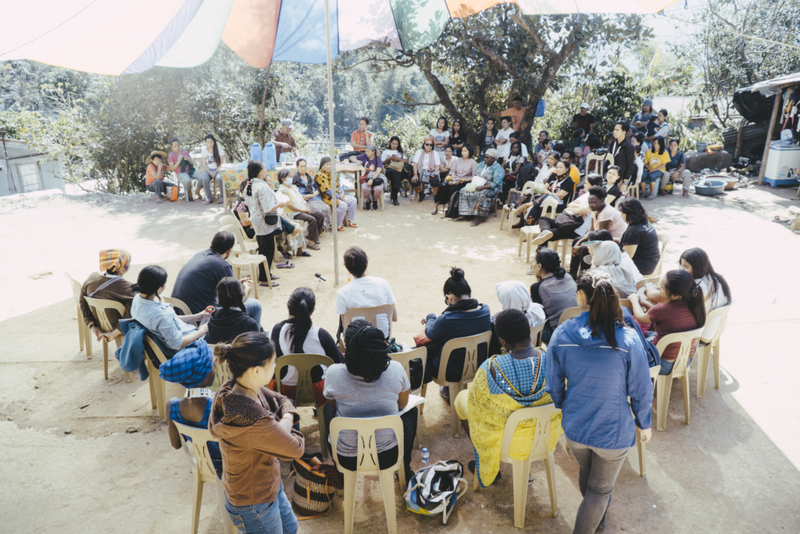 I could tell from the time we stepped into minibuses which took us outside the busy capital city of Manila to the highlands of Baguio, the Voice team had prepared us to share and learn from each other in an intimate, secluded, peaceful setting. Upon entering Baguio we are greeted with promotional signs for tourism, dubbing the town as a Summer Capital of The Philippines. I have mixed feelings about this. Our part of the town was calm and lush. Later I find out, the region had lost several mountains due to massive extraction of minerals. This I learned during a visit to the indigenous community of Itogon where we were warmly welcomed and had the opportunity to experience the community’s shared vision in sustaining autonomy. I let my mind wander as we returned. I reflect on the day. 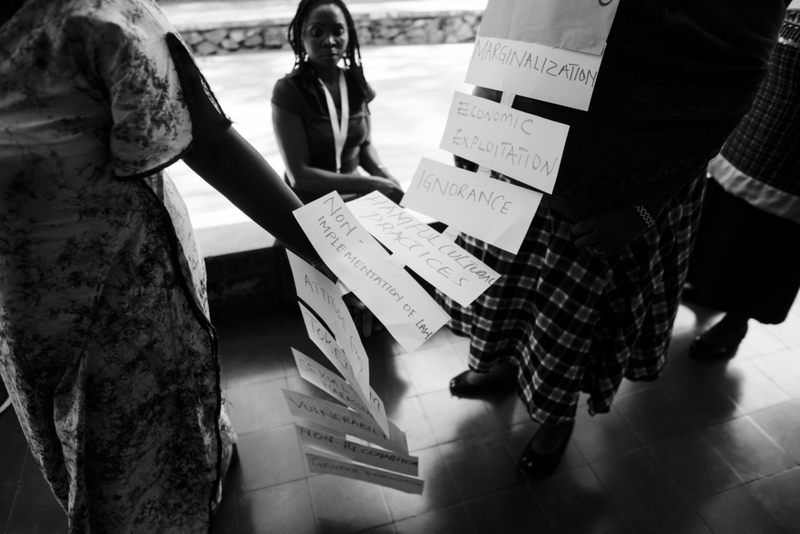 Participants from Africa and Asia take turns to share their experiences and it is clear that it is a common cause that makes women persist in the struggle. This persistence is shown through art expression. Sharing what our drawings meant, expressing thoughts through clay and found objects, allowing us to sleep with profound inspiration. It has been a heavy day. Finally, on the last day, we formulate possible collaborations based on issues, expertise, and experience or geographical connections. There are plans to nurture long term development from within ethnic communities, making legal protection accessible for Indigenous People’s rights defenders, gathering expertise in customary law and especially opening pathways for young Indigenous Women to rise even higher and in multitudes. We go back to Manila the next day, early in the morning. The smell of burning wood from the campfire site of the previous night still on my mind. Our burning questions were swallowed in flames as we danced to the sound of percussions. I brought a token home. A small bracelet made of red, black, green and white beads. It’s a prop for my stories to the little girl we are raising. I hope when the time comes she can embrace her community’s struggle as her own.